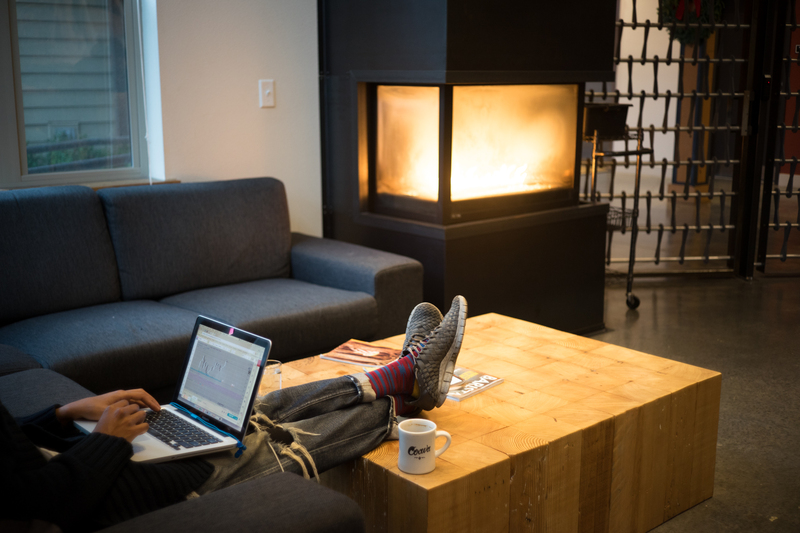 Many of our locations are shared spaces. 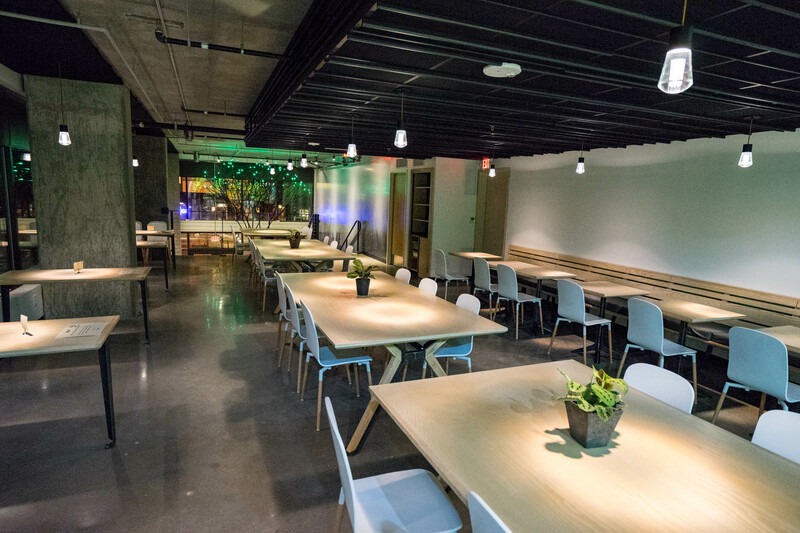 As such, we are unable to take reservations for tables or book private events. 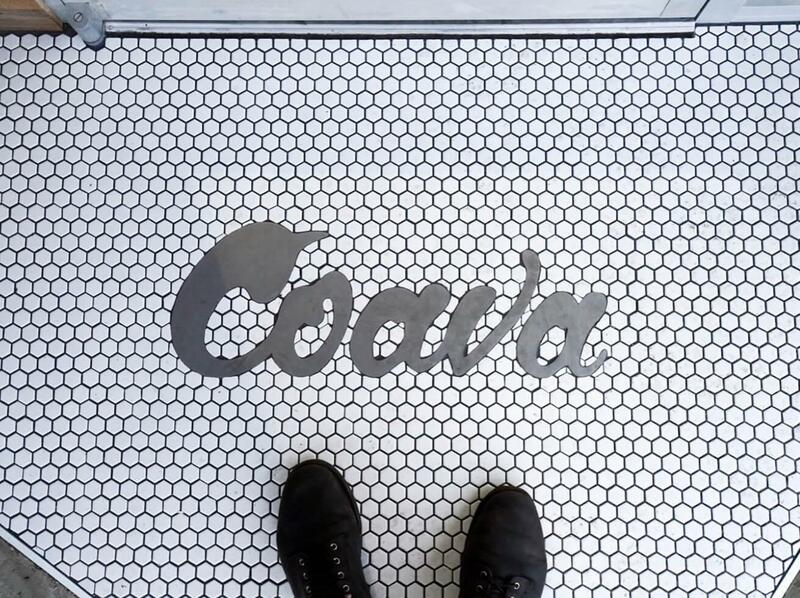 Coava Grand is our flagship location. 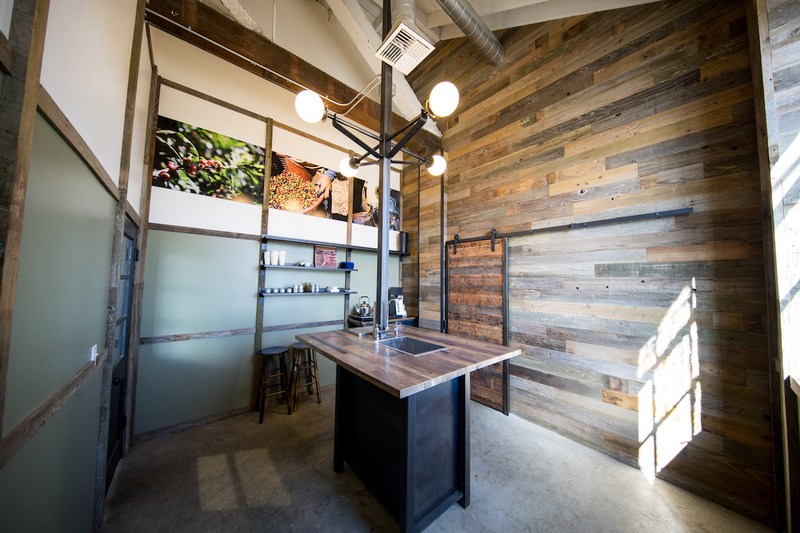 Back in the day, all roasting and production was done in this space. 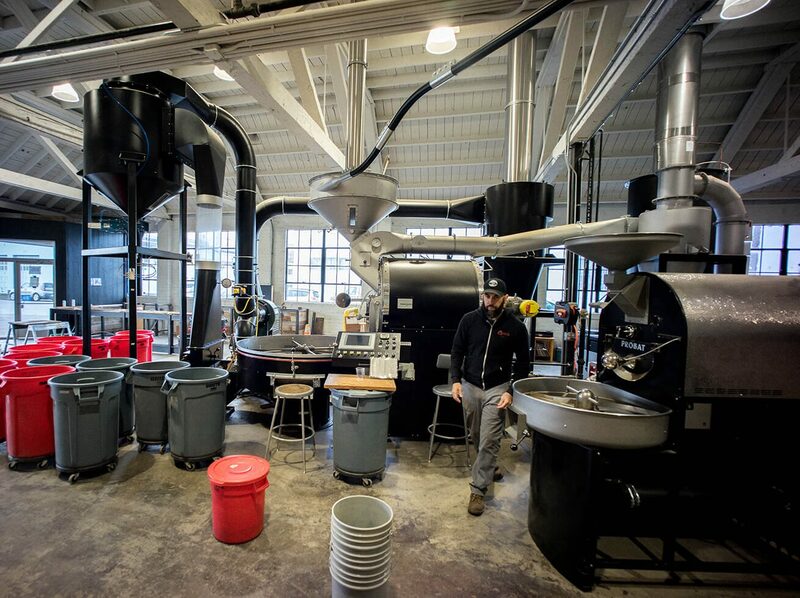 Our original roaster is still in place and is used to roast coffee from time to time. 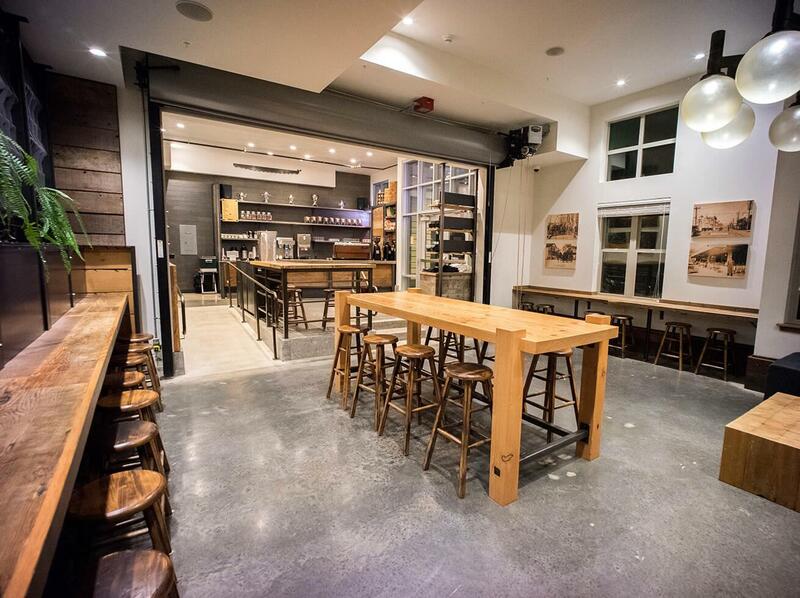 This beautiful cafe is a place to experience our craft and hospitality in its purest form. 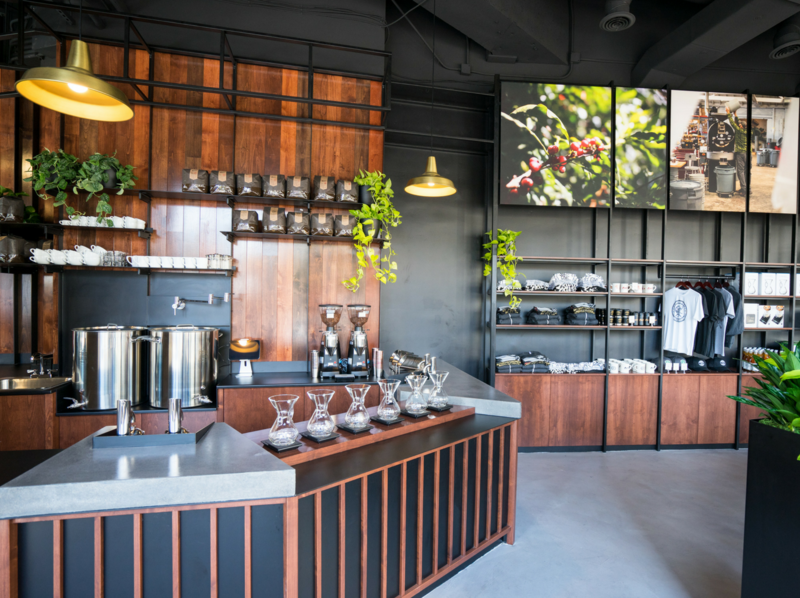 Designed around simplicity, we offer two selections of hand poured coffee using our signature Coava Cone Filter and two selections of espresso. Our menu consists of freshly roasted single origin coffees and we rotate in new, exciting coffees on a regular basis. 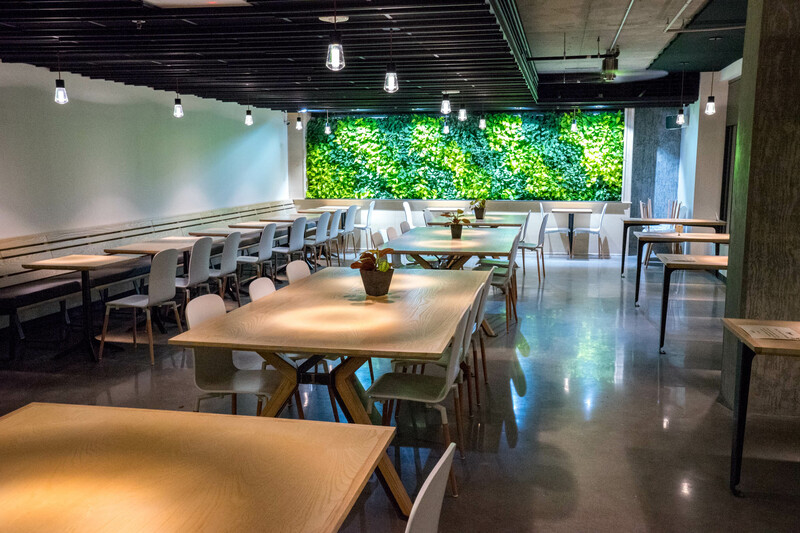 Our tea program was developed with Chicago based Spirit Tea; a company offering seasonal teas sourced with a likeness to our own sourcing methods. Our pastries are made locally by Little T American Baker and Petunia's Pies & Pastries. 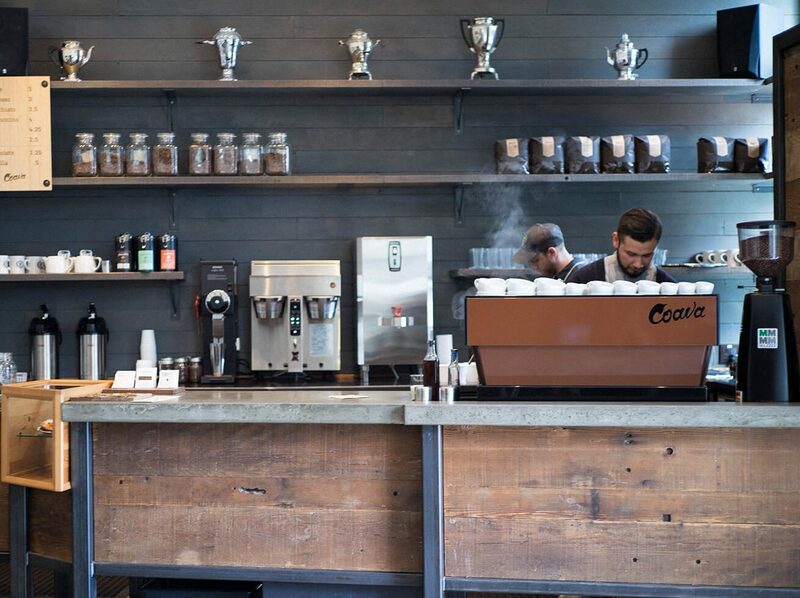 Famous for a cozy couch & fireplace, this well-loved coffee shop is all about community. 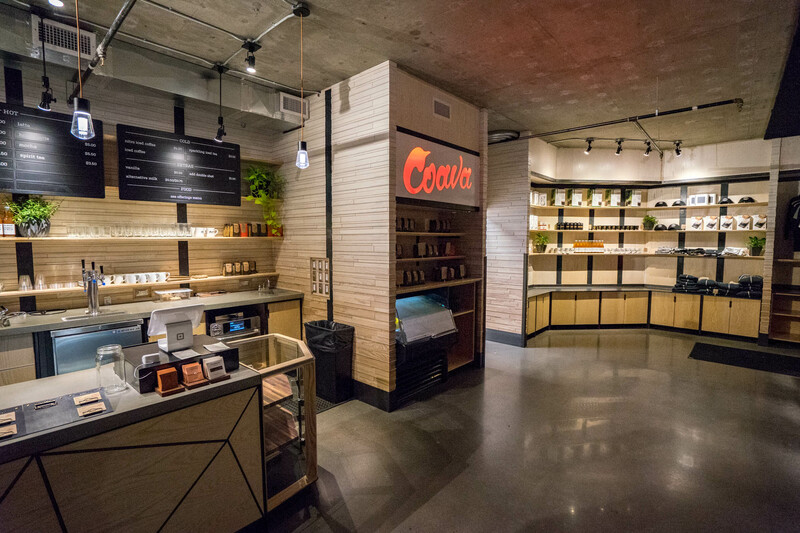 Featuring Coava’s signature menu with direct-trade Cocanu mochas, house-made Madagascar vanilla, and seasonal teas painstakingly sourced and curated by Spirit Tea. 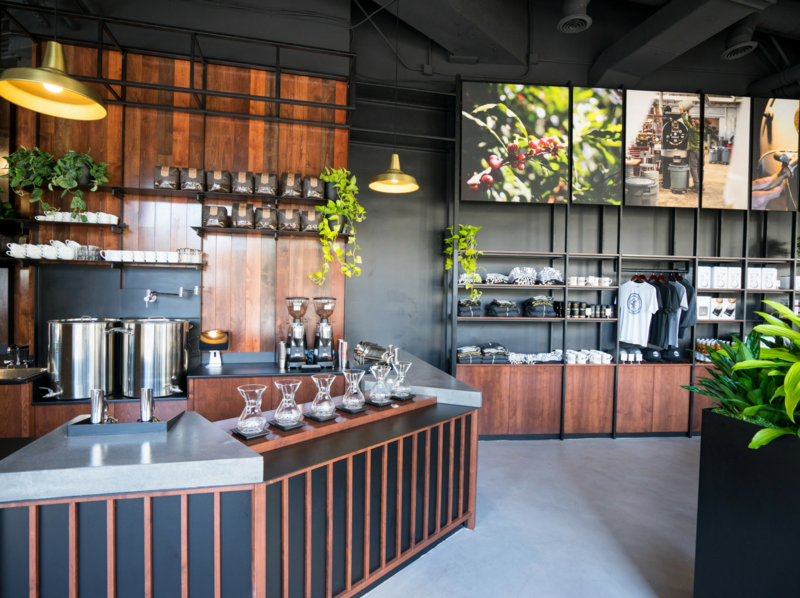 You'll find two single origin coffees on bar for espresso based drinks and drip coffees. Pastries are crafted locally by the incredible folks at Little T American Baker. 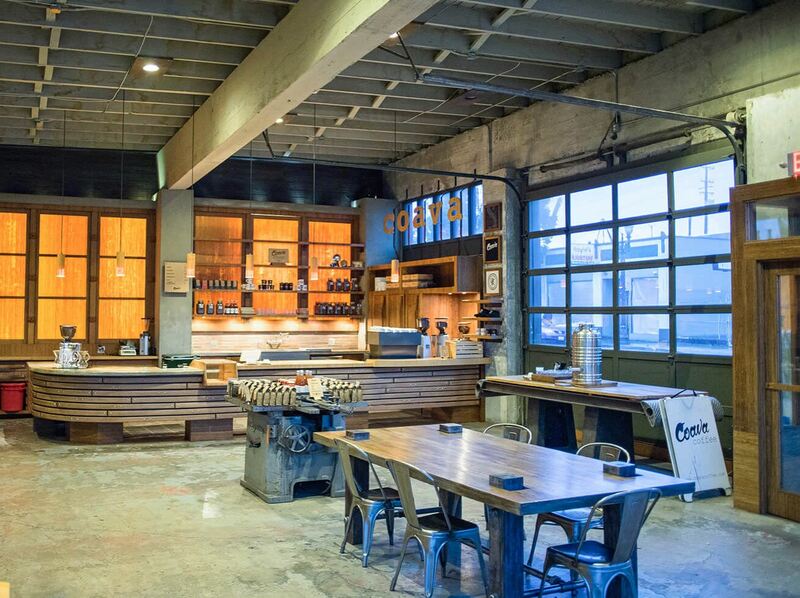 You'll find the Coava Coffee roastery at home in a 13,000 sqft. 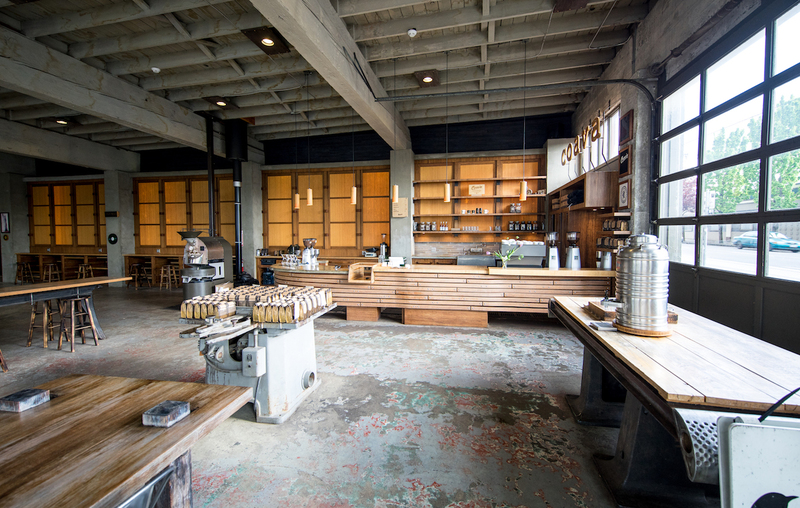 warehouse built in 1926 in lower SE Portland, just 6 blocks from our flagship cafe. 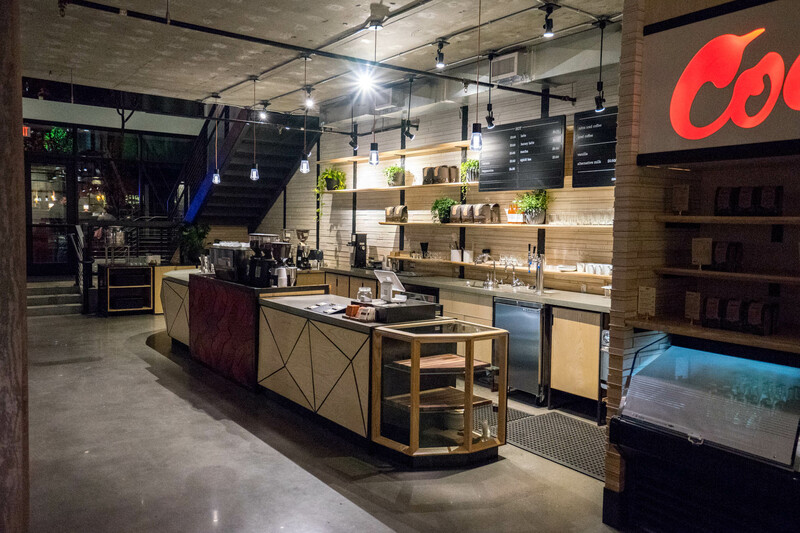 The front entrance opens into our Public Brew Bar, a small cafe where you'll enjoy watching a coffee roastery in motion as you sip something delicious. 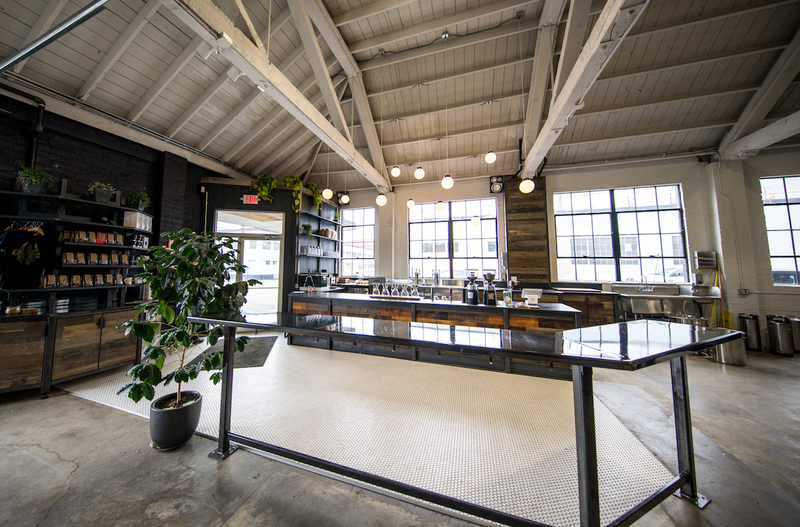 Join us for complimentary public coffee cuppings @1:00pm daily and receive 10% off bagged coffee, brew gear, & merchandise on the day of the cupping. 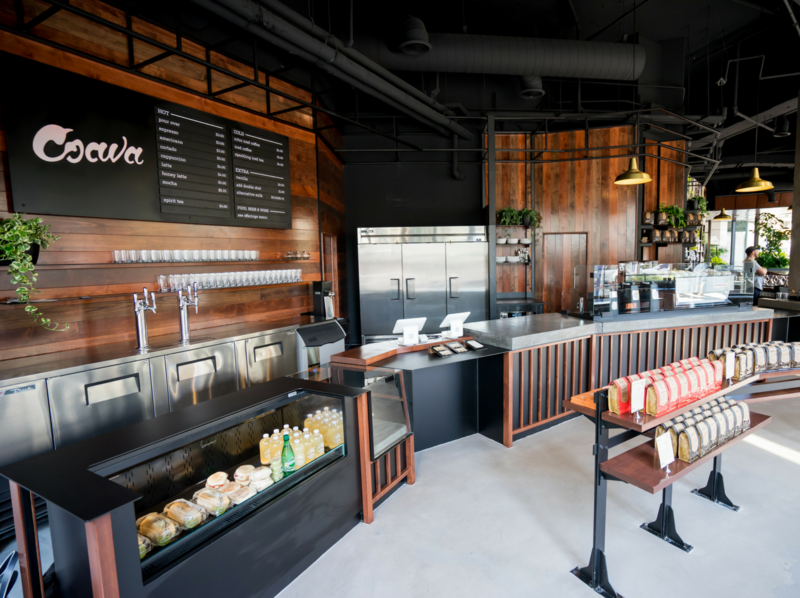 The Public Brew Bar offers spectacular single origin coffees on a seasonal rotating menu, handcrafted pour over coffees using our Coava Cone filter, a six tap keg system housing cold brew coffees (+ cold brew on Nitro), & sparkling tea made in house with Spirit Tea. 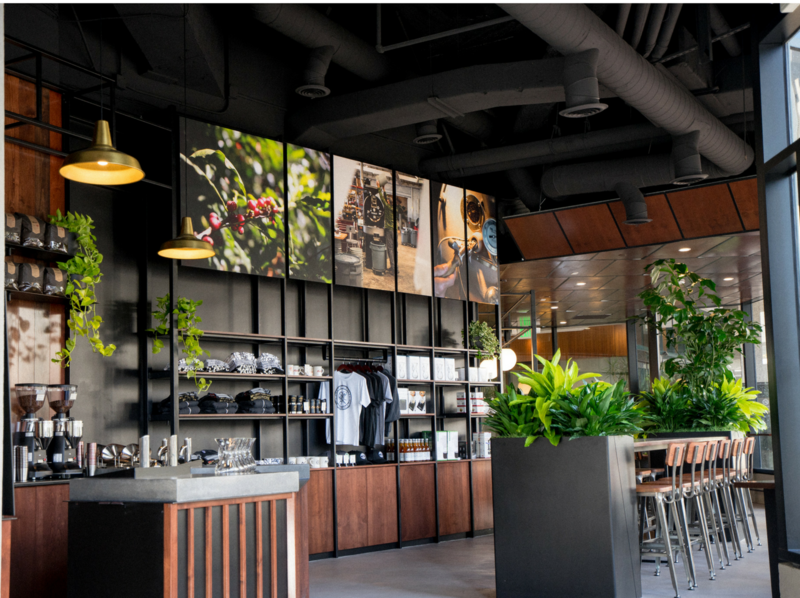 Depending on availability, you may also find limited Coava exclusives, in-house milled density separations, and single origin micro-lots not found at other locations. 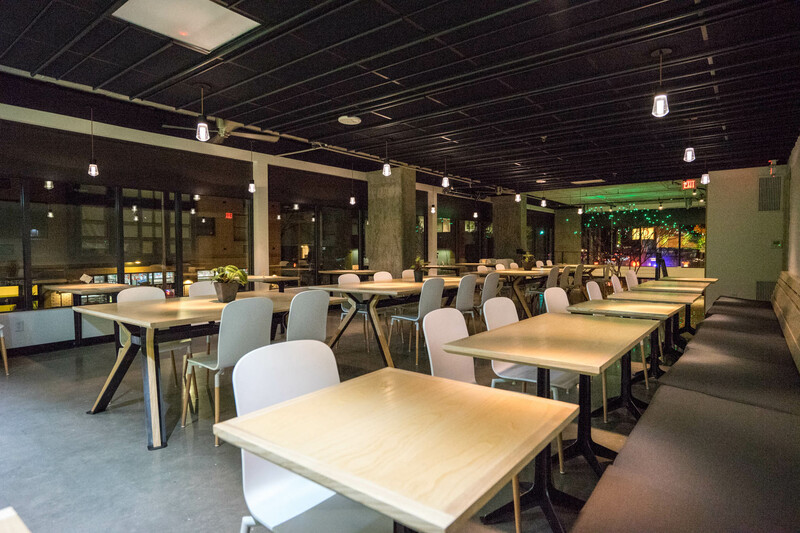 Located in downtown San Diego, the cafe is spacious, gorgeously outfitted, and offers ample seating indoor and out. 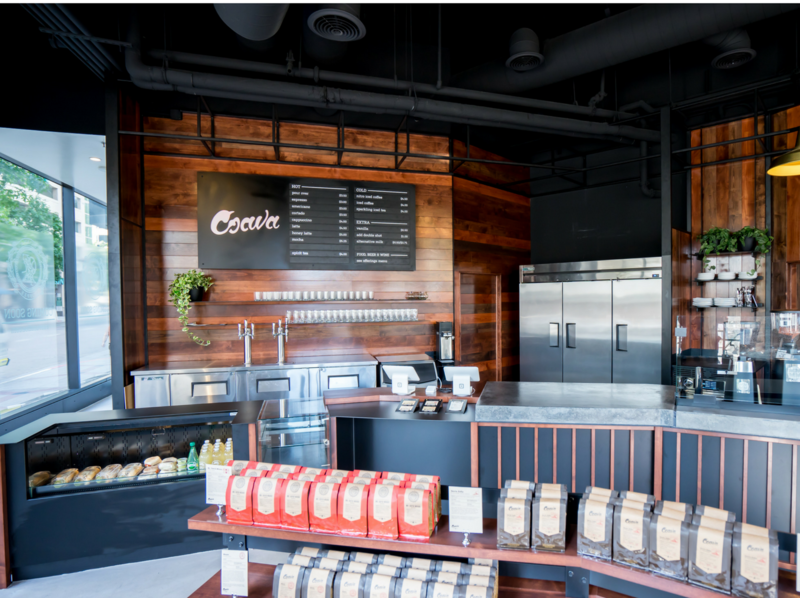 The cafe offers two selections from a rotating single origin drip and espresso coffee menu, cold brew on tap & on nitro, Bee Local syrup for our famous honey lattes, and Cocanú chocolate and house-made vanilla for truly exquisite lattes and mochas. We offer an uncommon selection of handmade teas by Spirit Tea. Enjoy a simple and elegant food selection, pastries from Nutmeg, as well as an excellent offering of exceptional beer and wines. 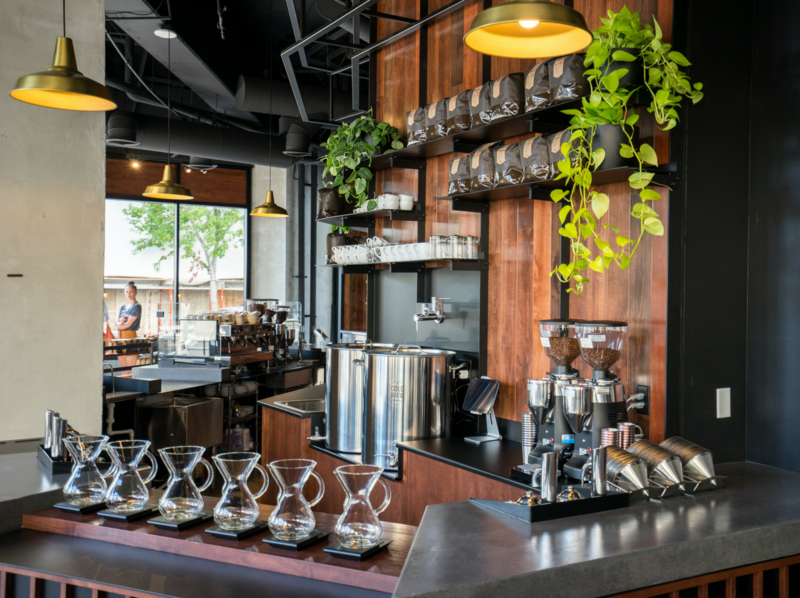 Join us on Wednesday's @11am for free public coffee cuppings. 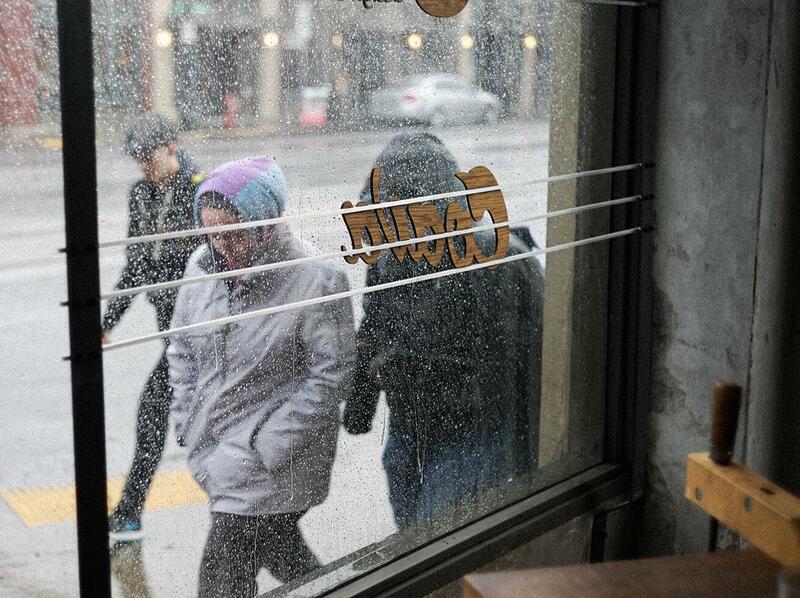 Attendees receive a 10% discount on bagged coffee, brew gear, & merchandise on the day of the cupping. 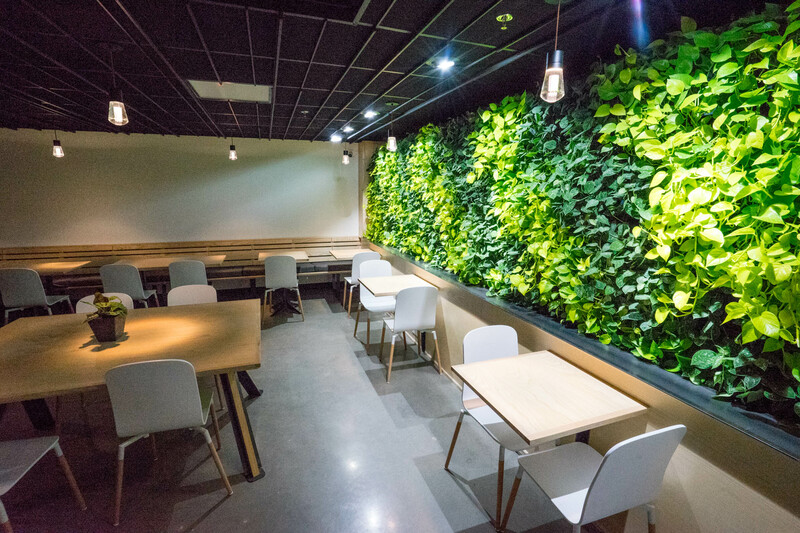 Our downtown Portland Coava cafe features a living wall and windows galore. 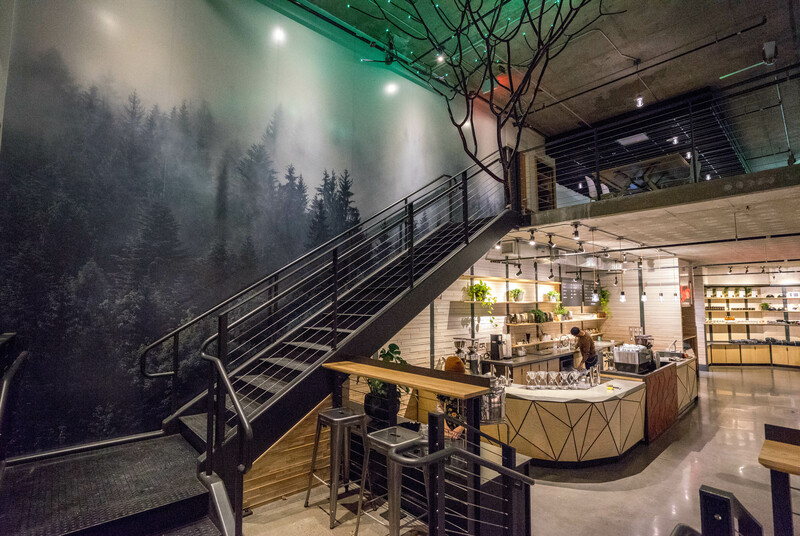 The two-story cafe is enormous, gorgeous, and offers excellent seating up top and on the main. A beautiful place to sit & sip. 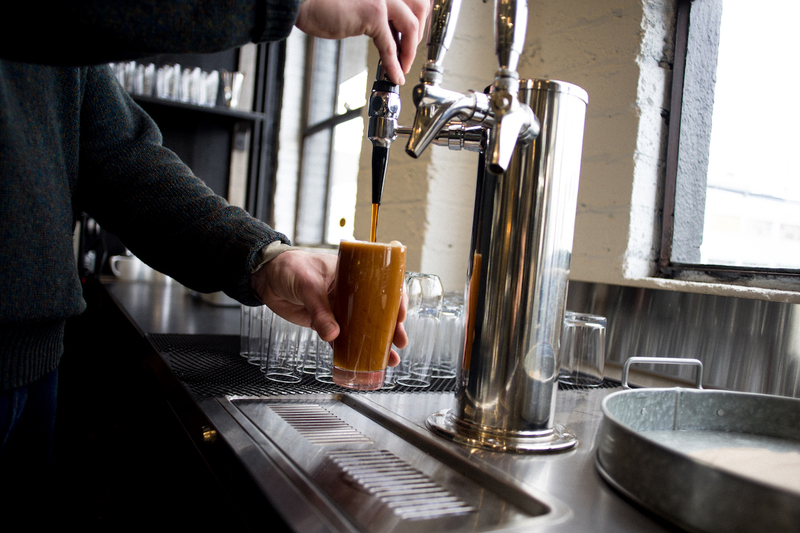 As with our other cafes, we offer two selections from an ever rotating single origin coffee menu, Spirit Tea, and Bee Local syrup for our signature honey lattes. 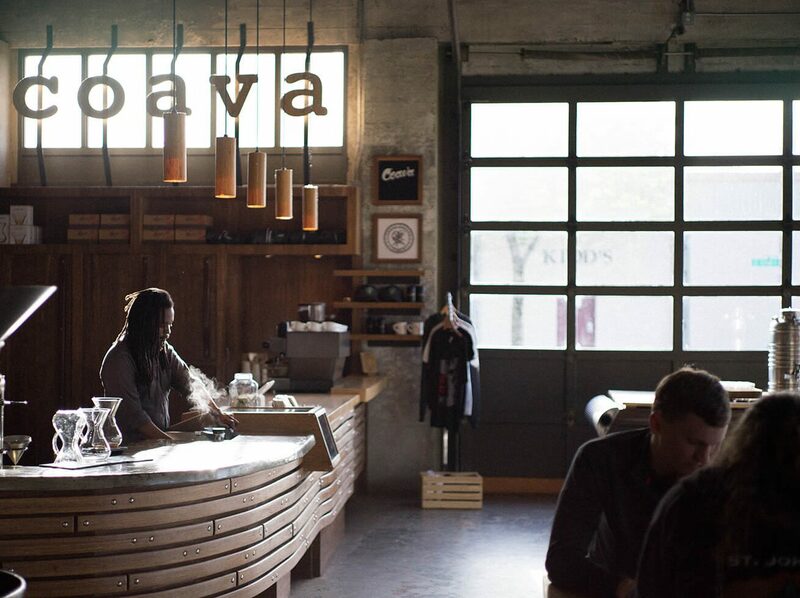 Drip coffee is hand poured to order with our Coava Cone Filter using a Chemex pour-over method. Sweet treats and pastries are from local artisan bakers, Petunia's Pastries & Pies and Little T American Baker. We offer house-made vanilla and Cocanú chocolate for one-of-a-kind, truly delicious vanilla lattes and mochas.